With our newly opened store A Street Frames 251, we mark a return to our original studio space in Boston’s Fort Point Channel neighborhood. 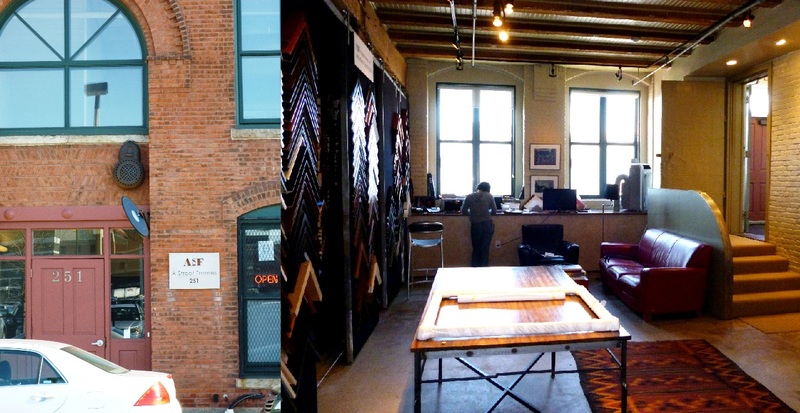 Owner Mark LeSaffre, an artist himself, hopes to reach out to Boston artists with a newly-structured professional artist discount. Our doors are open to everyone, from designers and architects to residents and area businesses. All are invited to visit 251 and see how unique we are as compared to other custom frame companies. Our frames are built from scratch with raw lumber. We ship nationwide. All 11 of our wood species for our frames are certified sustainable by the Forest Stewardship Council (FSC). With the opening of our new store, we have also added a talented staff member, Chantal. 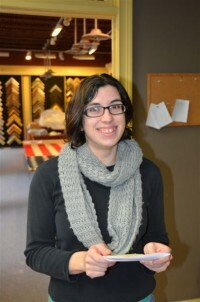 Chantal is an experienced framer with design skills and expert framing knowledge. For the past 4 months she has been training at our main location in Cambridge to better understand our products and capabilities. She understands our products and our framing process and is committed to delivering the highest level of customer service. We are committed to assisting artists framing their own work, and to that end A Street Frames 251 will feature ongoing special pricing for artists and designers. In addition, we are offering unsold frames, in perfect condition, at a substantial discount. We currently have approximately twenty frames available, including gold leaf options and canvas floater frames in a wide range of sizes, with prices starting as low as $15. We recently sold a large finished 40 x 60 welded steel frame to a client who then used it to frame a mirror, quite inexpensively! We invite artists, designers and residents of Fort Point to visit our 251 A Street location today! Sign up for regular blog updates and receive a $25 gift certificate for your next order! Keep up to date with our latest specials, as well as local and international art news by visiting our Facebook page and following us on Twitter. We hope to see you soon!